These butter shortbread cookies are very similar to the traditional versions-- tender, slightly sweet, and absolutely delicious! Bake cookies for 8-10 minutes, watching closely to ensure they don't burn. 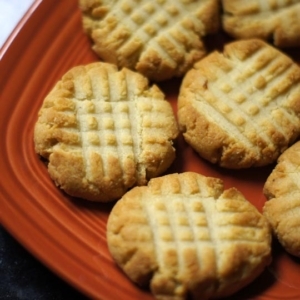 Remove cookies from the oven when they are lightly golden brown, then cool on the pan for 10 minutes. Transfer cookies to a wire rack and let cool completely before serving. For thicker cookies, I recommend chilling the batter in the fridge for 30 minutes before scooping and baking.